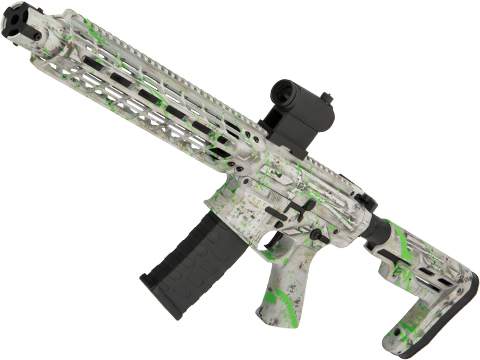 The Blitz SBR represents the latest technical advancements in todays modern sporting rifles, boasting unparalleled control and reliability. The upper and lower receiver sets are precision machined in house to optimize operation addressing carrier-tilt and walk. When combined with the specially designed bolt carrier group and Blast Cap tunable muzzle break and mirrored ambidextrous controls, the Blitz represents a breakthrough in AR design, resulting in the most reliable SBR on the market. Each component is designed with the professional end user in mind and machined to aerospace tolerances in FALKORs Montana based headquarters. 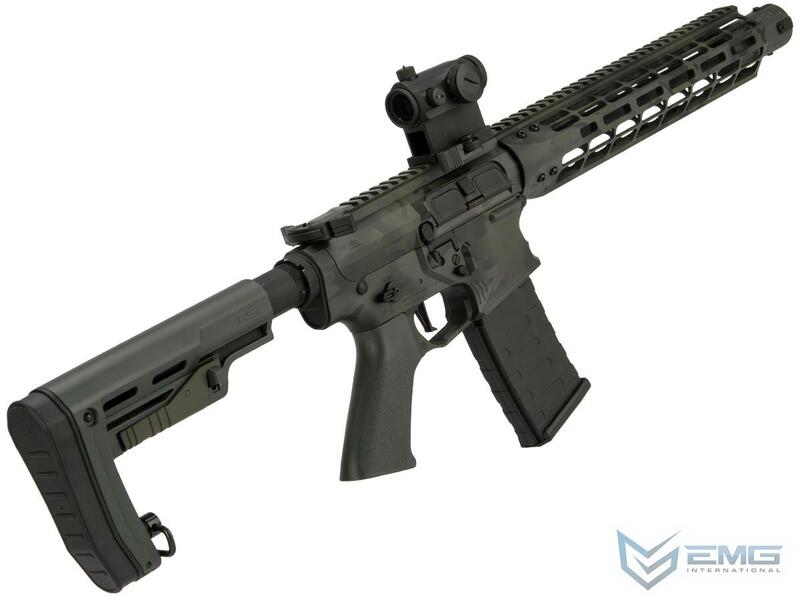 The Falkor Blitz SBR from EMG starts with a metal upper and lower receiver unlike any other AEG on the market. With extensive tactical styling, this receiver is bar none. 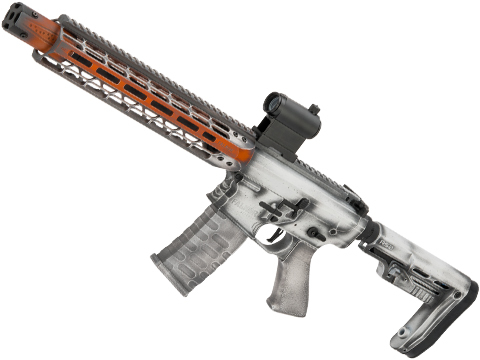 In addition to the unique styling of the Falkor, nearly every piece is ambidextrous including the magazine catch, bolt release, short throw fire selector and a Falkor Mach 15 Ambi-charging handle is also present to complete the high end look of this rifle. A Super Dynamic 3-Gun style straight trigger gives the operator a unique and fast trigger manipulation. 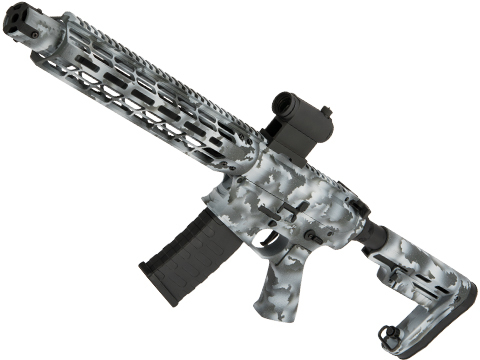 The Flared Magwell grip features ridges on the front for operators who prefer a magwell style grip on their rifle. 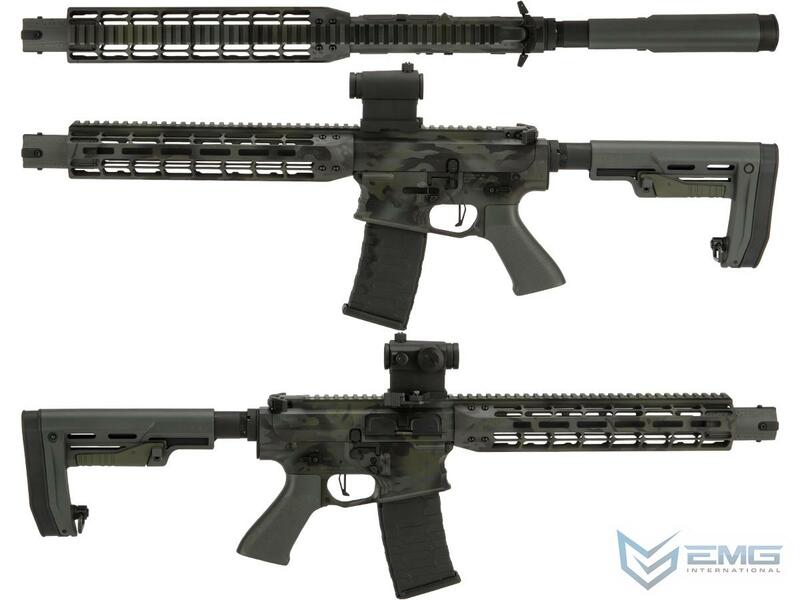 It should also be noted that the upper receiver sports a unique style that will set the look apart from every other M4 variant on the market. 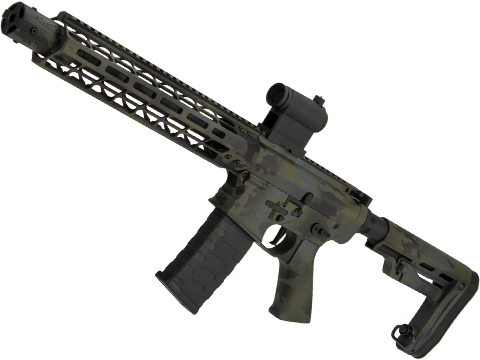 Moving onward you will find a flush top rail leading into FALKOR Fatty Free-Float 11.5 MLOK Handguard, allowing the end user to install any MLOK compatible accessories and rail segments. The furniture of the Falkor Blitz is also optimized for performance, modularity and comfort. A textured, slim profile motor grip paired with the Minimalist Stock not only completes the look of the rifle, but makes it an extremely comfortable piece to shoulder and field.